It is a kind of musical, a mainstream favorite, as well as a Technicolor spectacular. But musical generally comes as a hyphenate with comedy attached to it. The Red Shoes is drama. It precedes the colorful MGM spectacles so prevalent throughout the fifties, directly inspiring An American in Paris (1951) for one. However, it is the psychodrama at the root of this fairy tale adaptation which gives the film its weight, both visually and subtextually. Like many fairy tales, Hans Christian Andersen's "The Red Shoes" has a definite sexual undercurrent. Karen, the vain girl who dons the magical red shoes in the story, does so simply to preen whenever she goes to church. Despite her adoptive mother's orders not to wear them anymore, she wears them to a party, where she finds she can't stop dancing even after the celebration is over. Dancing day and night, she is even forced to miss her elder's funeral, and the shoes ultimately prove to be Karen's undoing. In The Red Shoes, Victoria Page (the striking Moira Shearer), rising star of a ballet company run by Boris Lermontov (Anton Walbrook), is cast as the lead in the ballet. Lermontov obsessively clutches onto Vicky, offering her a chance to become the greatest dancer the world has ever known... and not altogether selflessly. Meanwhile, what begins as a tense collaboration between Vicky and Lermontov's musical director, Julian Craster (Marius Goring), soon blossoms into a love affair as the Ballet of "The Red Shoes" begins performances. 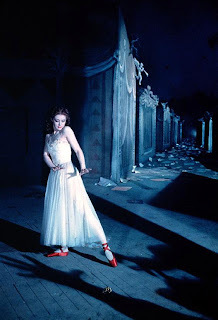 Vicky's emotional turmoil manifests itself in the 15-minute ballet sequence at the center of The Red Shoes, the sexual undercurrent of the fairy tale becoming a subtler, psychosexual one in the film. Only the viewer is capable of seeing Vicky's stage performance morph into a colorful nightmare in which Vicky pirouettes through a dreamscape where the demonic shoemaker (Leonide Massine) stands in for Lermontov and Kraster, a premonition of the triangle that Vicky soon finds herself ensconced in. 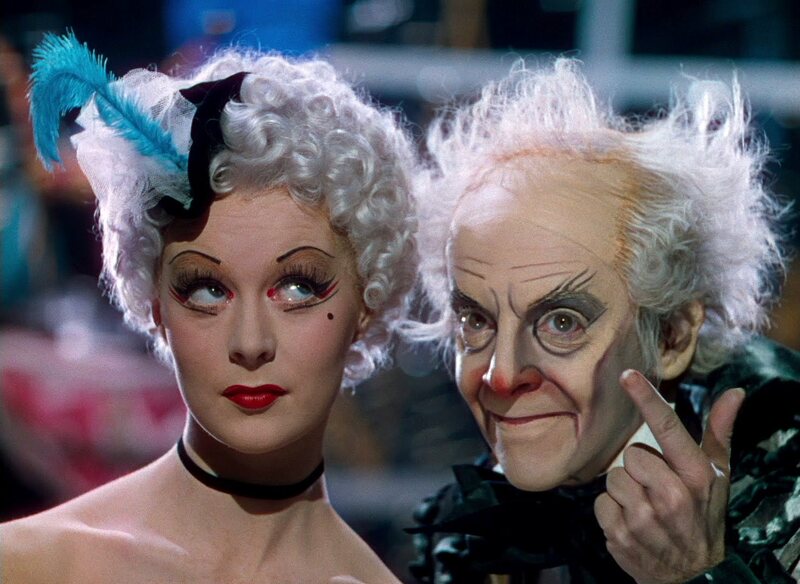 Criterion's Blu-ray of The Red Shoes heightens the intensity of the melodrama, crystallizing Vicky's dilemma as luminously as the newfound film grain in this wondrous 2009 digital restoration (financed in part by Powell protege Martin Scorsese's Film Foundation). What struck me as I watched this iteration of the film (which I've seen at least a half-dozen times before) is how sympathetic one grows to Lermontov's side of the argument. Surely in 1948, audiences may have felt just as torn as Vicky between true love, in the form of Craster, and devotion to art, in the form of Lermontov. But Craster's behavior as he pleads with Vicky on the eve of his greatest musical triumph, begging her to abandon her return to the stage in order to follow him on his burgeoning career, seems ridiculously stupid and petty from a twenty-first century perspective. Even Lermontov at his most exploitative seems to be able to satisfy Vicky's, indeed every ambitious person's, need to self-actualize. One need not be a feminist to empathize with Lermontov in this situation. It is this kind of dramatic heft which separates The Red Shoes from other musicals, even today. Its triumph as a musical drama is still relatively unusual, as even Scorsese (who attempted to duplicate its success with New York, New York) could probably attest. Criterion's lustrous reissue contemporizes The Red Shoes for the viewer, removing it from the context of its post-war period and making its drama relevant to today's fresh eyes. The Red Shoes is available on Tuesday July 20th on Criterion Blu-ray and DVD. I actually just picked this up on Blu-ray along with Black Narcissus - cannot wait to get into it - Powell and Pressburger have always been a blind spot in my movie watching resume, even though every image I see from their films are completely arresting. Good choices. I don't know which of the two I like more, Chris. It's obviously one of the cinema's great masterpieces (as is BLACK NARCISSUS) and all of us fanaticle Criterion collectors will surely be taking advantage of the 50% off Criterion sale which was launched this past weekend, and will continue to early August. I picked up M, THE SEVENTH SEAL, CLOSE-UP, HUNGER and one or two others on blu-ray and both the Eclipse Oshima and Post war Kurosawa sets, as well as the Ozu set THERE WAS A FATHER/THE ONLY SON. Very timely piece here, Tony! Thanks for sharing your Criterion haul, Sam. I really think the Blu-rays of M and THE SEVENTH SEAL are glorious. Who says Blu-ray isn't for B&W or catalog releases. In my opinion, these classics often benefit the most from such enhancement. My list of purchases this week: BLACK NARCISSUS, CHE, DAYS OF HEAVEN, THE LEOPARD, LOLA MONTES, PARIS, TEXAS, RIDE WITH THE DEVIL, and STAGECOACH on Blu, and THE FUGITIVE KIND and A WOMAN IS A WOMAN on DVD. 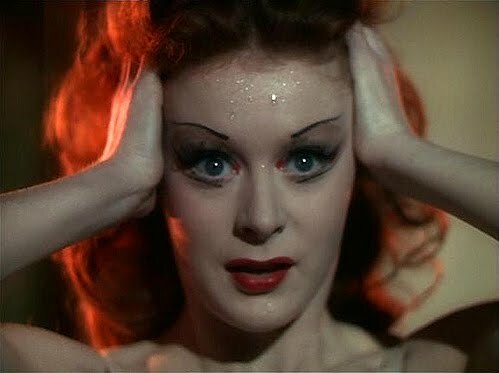 Any readers who don't have much to say on THE RED SHOES are invited to share their own Criterion purchases (which I would love to hear). 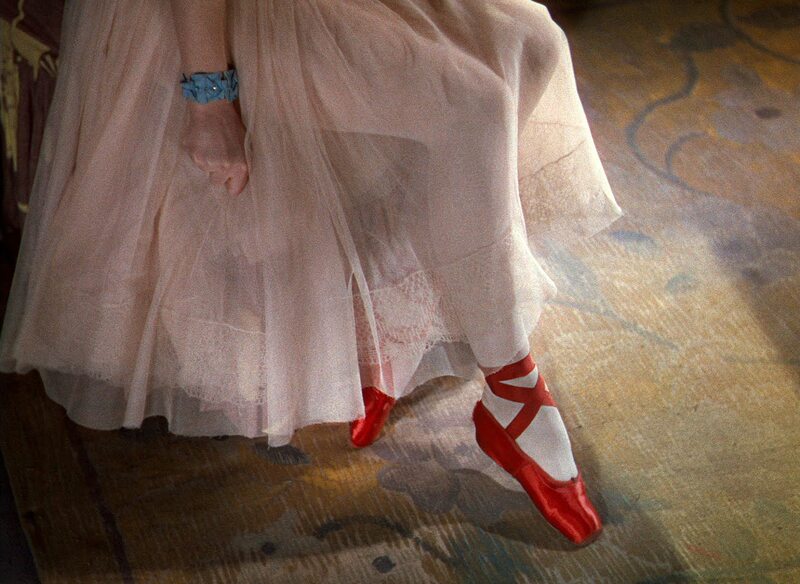 I love the Red Shoes and I love Powell and Pressburger. I think my favorite of their films is A Matter of Life and Death, which has yet to be released by Criterion (but hopefully it will be at some point). I remember when this film was restored and brought out in a gorgeous print last year. I had seen the film many times already, but never in that kind of venue. Traveling to NYC (and more specifically the Village and Film Forum) from about three hours away, I was giddy the entire way. When the doors opened I found myself rushing into the theater and leaping into the front row - much like those young people did at the beginning of the Red Shoes. As I watched the film it seemed almost as if it were a religious experience, and I guess considering my love of cinema, it was a religious experience. Oh, and yes, I side w/ Lermontov too. Kendra, I have to own up to not haveing seen that one, yet. Thanks for visiting the site. Kevyn, the new transfer looks glorious on Blu-ray. Watching it this time was even more fun because I introduced the film to my wife. She loved it, of course.